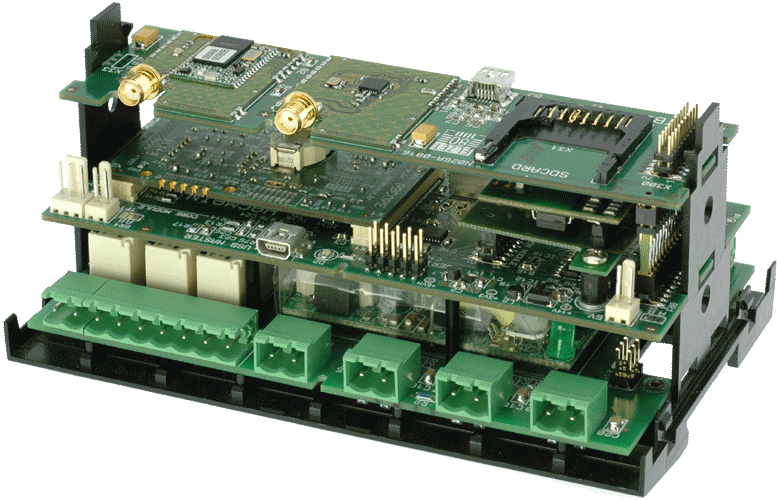 On the 2nd User Workshop of the HOMEPLANE-project on 5 May 2009 in Leipzig, we presented by order of the EMIC, the European Microsoft Innovation Center a ​​prototype of a link between home automation and home networking. The accompanying presentation can be downloaded here. 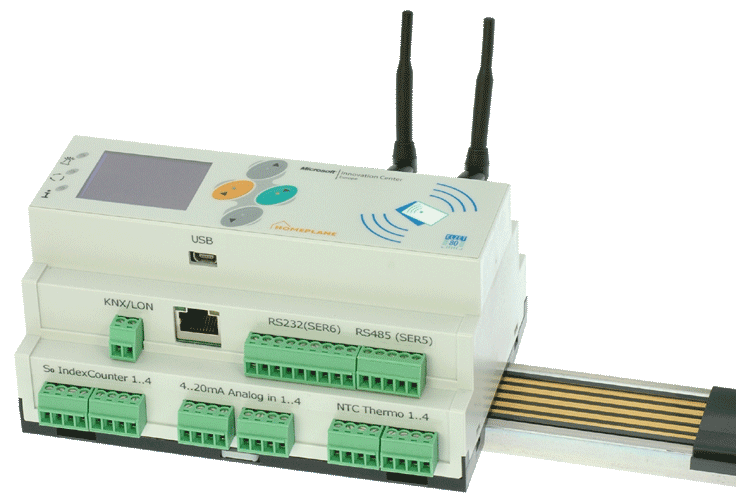 Complete unit with ARM9-processor Core-Modul, RS232 and RS485 interfaces, Carrier for wired bus modules (KNX/LON), power supply 115-230V, 230V I/O, S0-counter inputs, analog inputs, Carrier for radio modules, SD-Card-holder, USB. Programming in Microsoft .net Micro Framework 3. 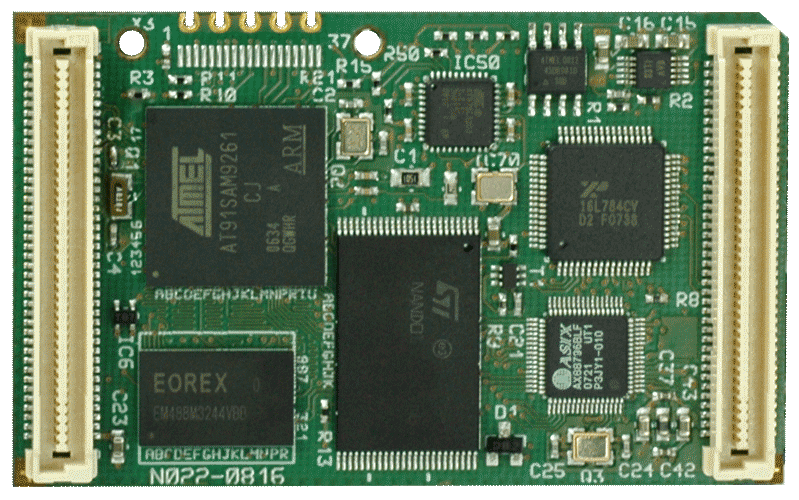 Module for Bluetooth, 802.15.4 (Zigbee) and NFC (MiFare). 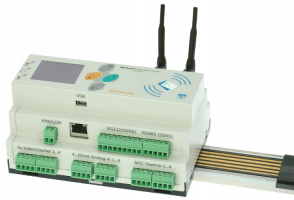 Customized modules of our own development and manufacturing. Presentation at the User-Workshop of the HOMEPLANE project (German).